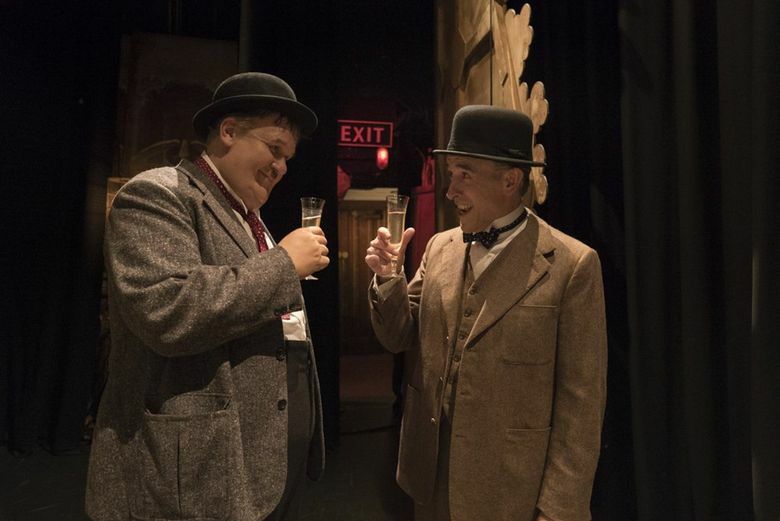 “Stan & Ollie” is a sweetly charming good time. Director Jon S. Baird found just the right actors to pull this off: Steve Coogan as Stan Laurel and John C. Reilly as Oliver Hardy. Rating: 3 stars out of 4. “Stan & Ollie” is the story of a tiny world of two; of how a world-famous comedy team faced its final act, with love. In their prime in the 1930s, there were few stars more beloved than Stan Laurel and Oliver Hardy, who made a successful transition from silent films to early Hollywood talkies and beyond. Appearing in more than 100 films together, from 1927 to 1950, they were an unmistakable duo: slight Laurel and stout Hardy, a goofball picture of friendship. Their famous dance in 1937’s “Way Out West” — reprised in “Stan & Ollie” — sums them up; its flappy kicks and silly posing matched with a breezy, we’re-just-making-this-up lightness. They were having a ball, without ever seeming to try too hard. Likewise, when it’s not trying too hard, “Stan & Ollie” is itself a sweetly charming good time. Director Jon S. Baird found just the right actors to pull this off: Steve Coogan’s long, faintly mournful clown’s face looks just right under Laurel’s derby; John C. Reilly’s trademark warmth slips nicely into Hardy, his gentle smile punctuated by a piano-keyboard of bangs and a smudge of a mustache. You believe them, as friends who frequently get on each other’s nerves (as even the best of friends do), as collaborators, as performers slowly realizing that the sun is setting on their careers. 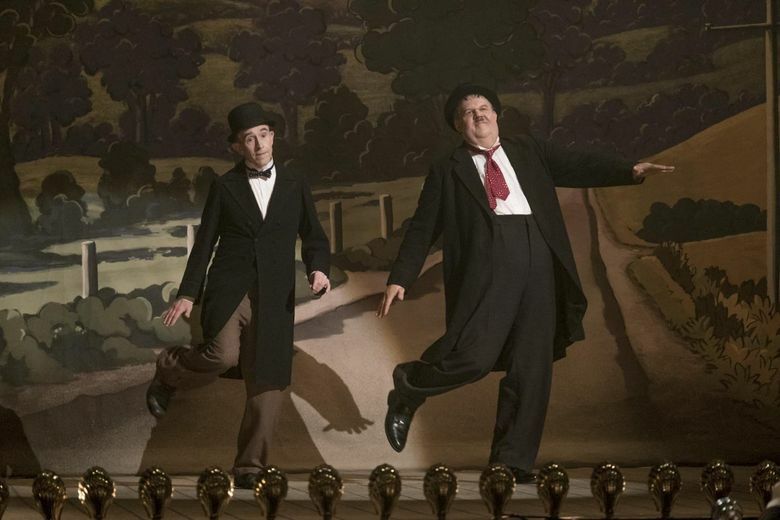 There’s plenty of wit in “Stan & Ollie”: the meticulously re-created bits from the Laurel & Hardy repertoire; the sly, wordless double takes from the actors (Coogan’s particularly good at this); the funny rat-a-tat repartee from the men’s strong-minded wives (Nina Arianda, Shirley Henderson), who clearly deserve their own double act. But its primary tone is wistful; a slow, reluctant goodbye, not just to an act but to an era. By its end, all you want is to see that dance, just one more time. ★★★ “Stan & Ollie,” with John C. Reilly, Steve Coogan, Nina Arianda, Shirley Henderson. Directed by Jon S. Baird, from a screenplay by Jeff Pope. 98 minutes. Rated PG for some language and smoking. Opens Jan. 25 at multiple theaters.